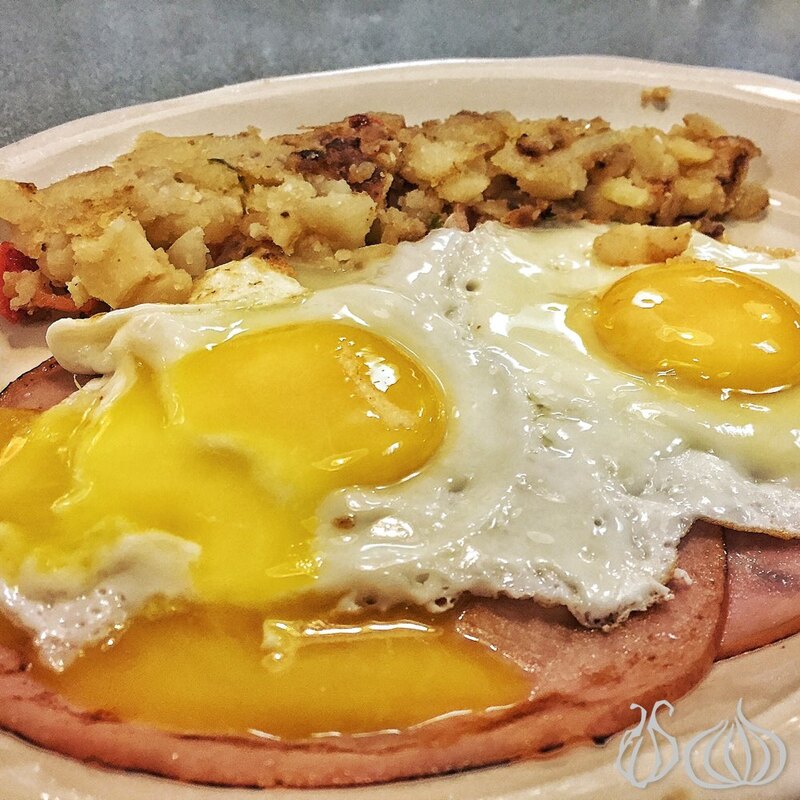 Established in 1992, Evergreen is a very famous diner, serving breakfast from 6am until 11am. 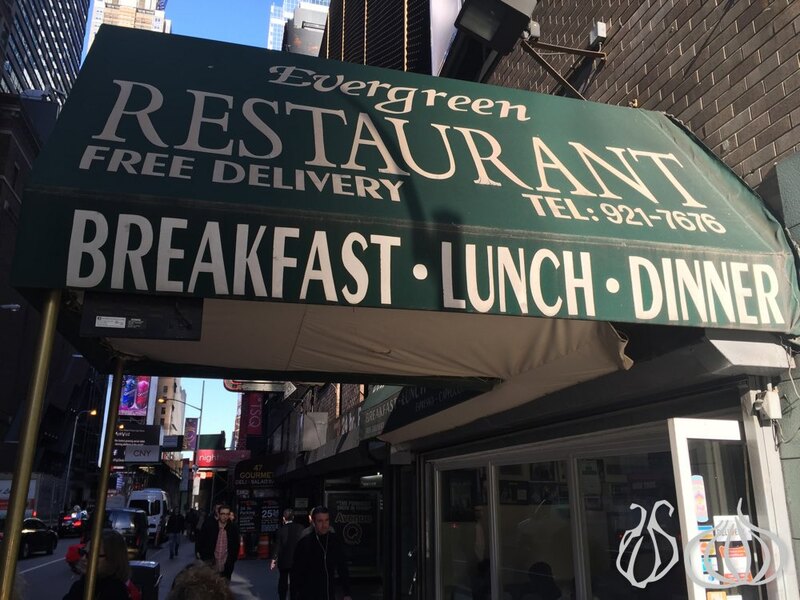 Evergreen, with high ratings according to Yelp, is located just one block away from Time Square. 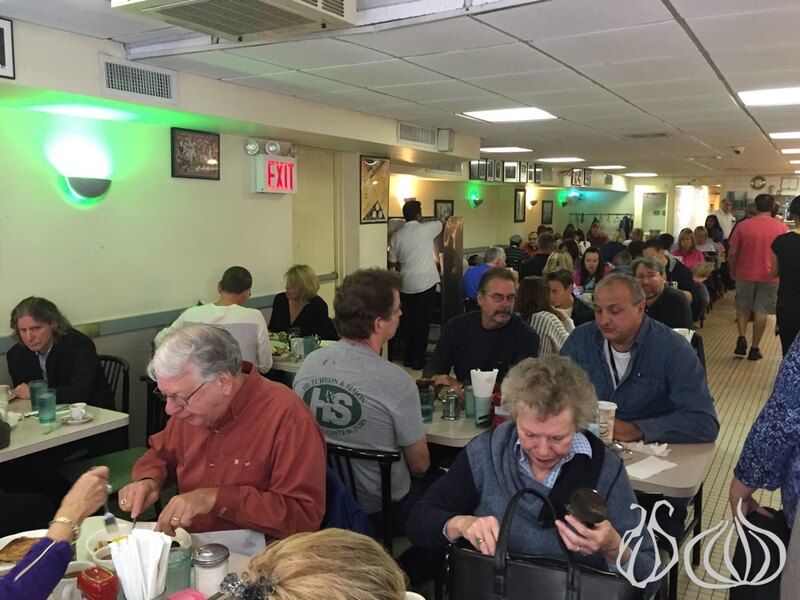 It's a small diner with low ceiling, old style decoration, an open bar and a load of tables filling up the space. 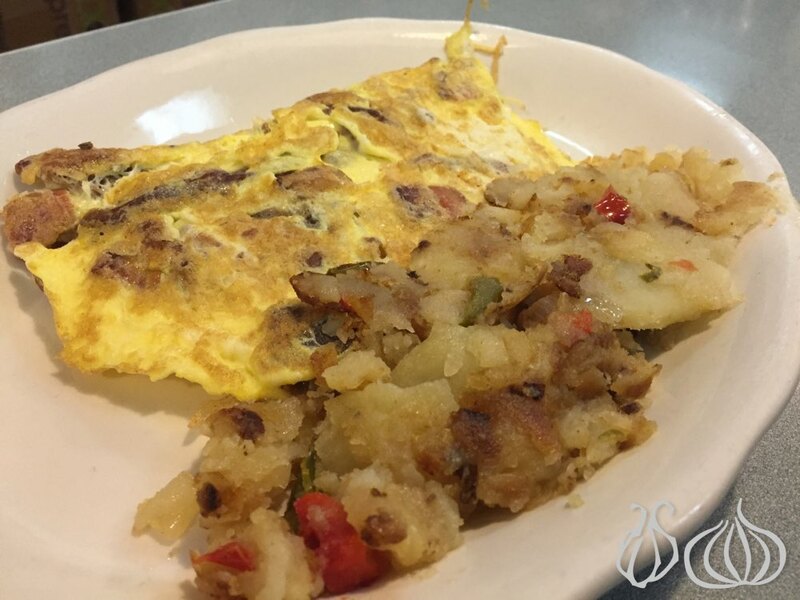 The smells of breakfast take over the space while you're invited to sit. 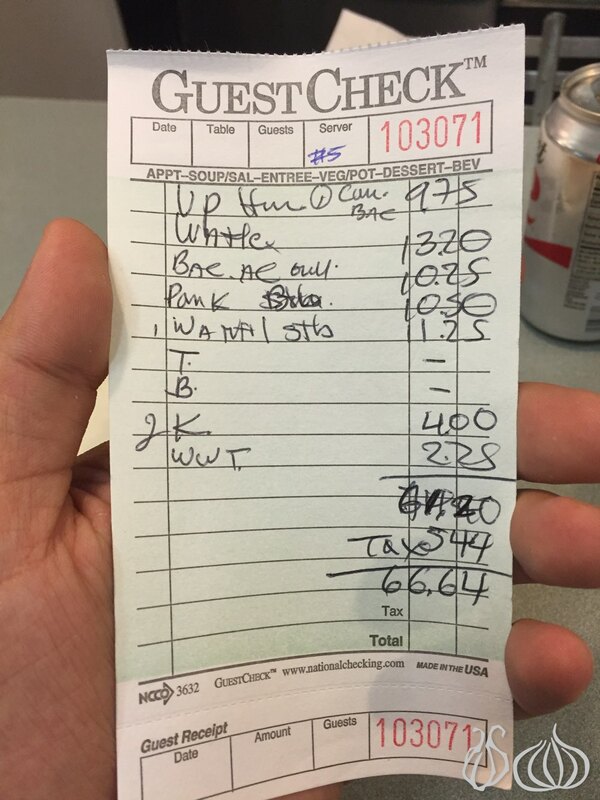 Being a group of five, the bar was the best choice. 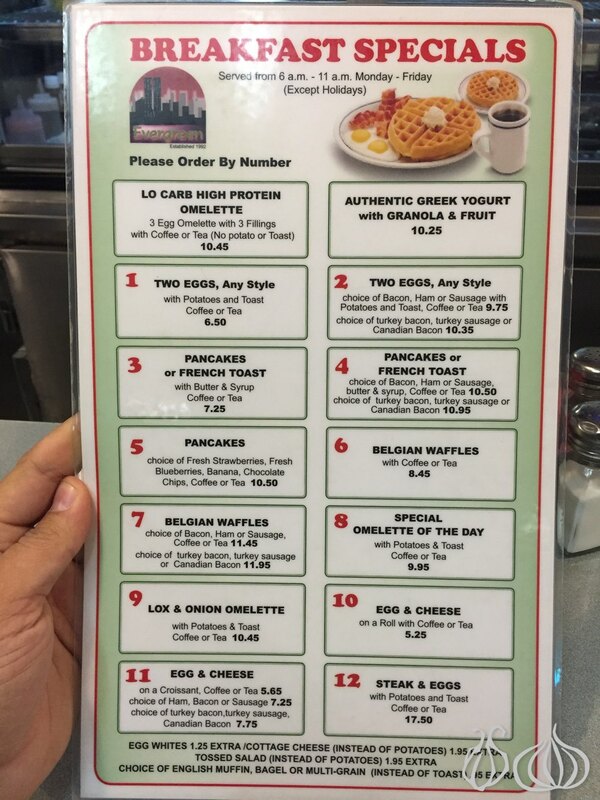 The menu has two parts, the breakfast menus on one side and other dishes on the second. 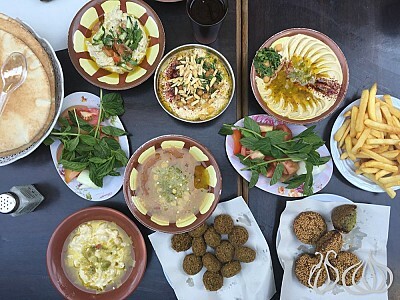 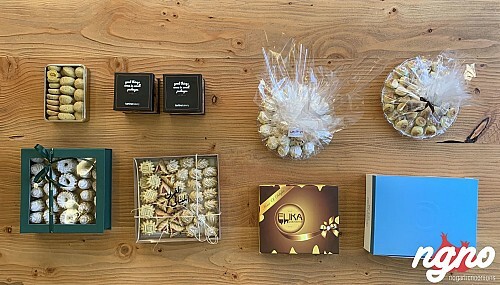 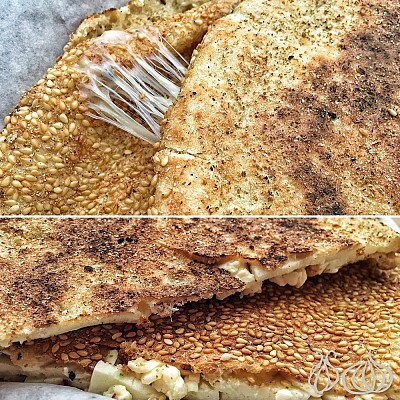 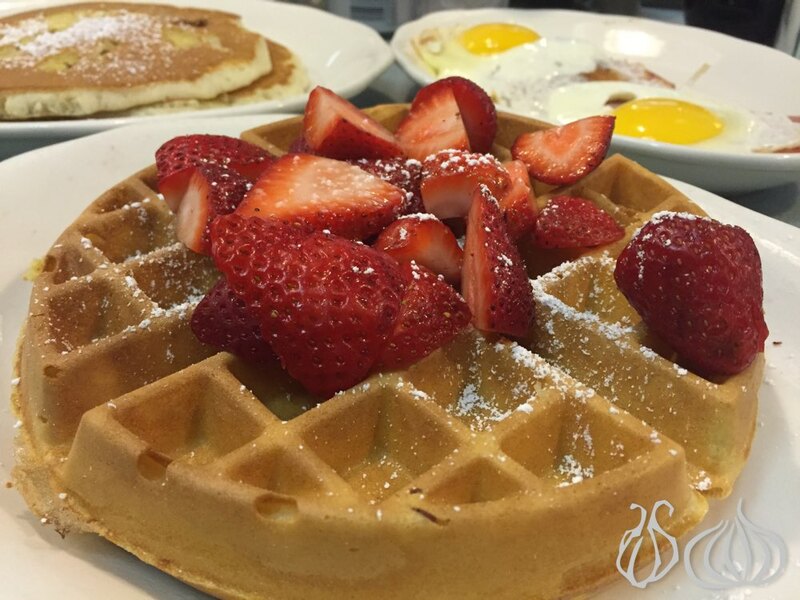 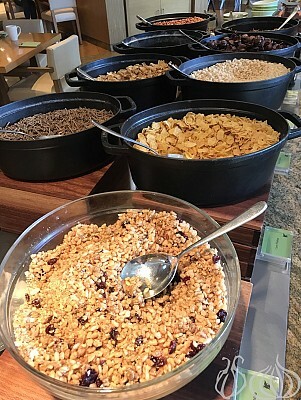 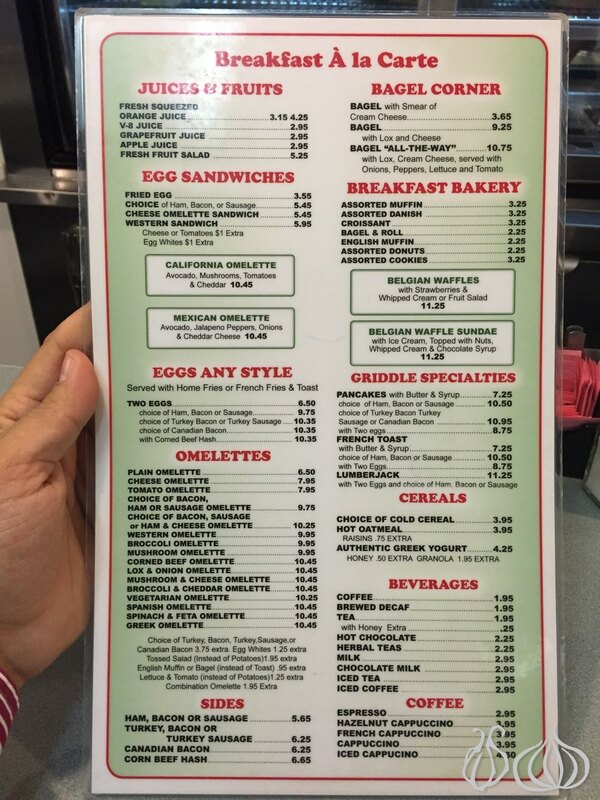 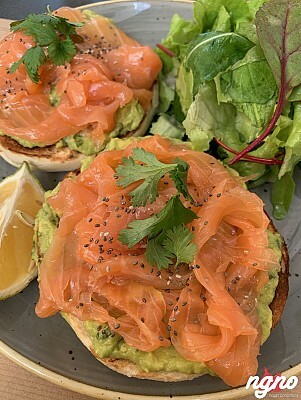 Twelve different choices of eggs, pancakes and waffles, along with juices, bagels, the breakfast bakery, omelets, griddle specialties and cereals. 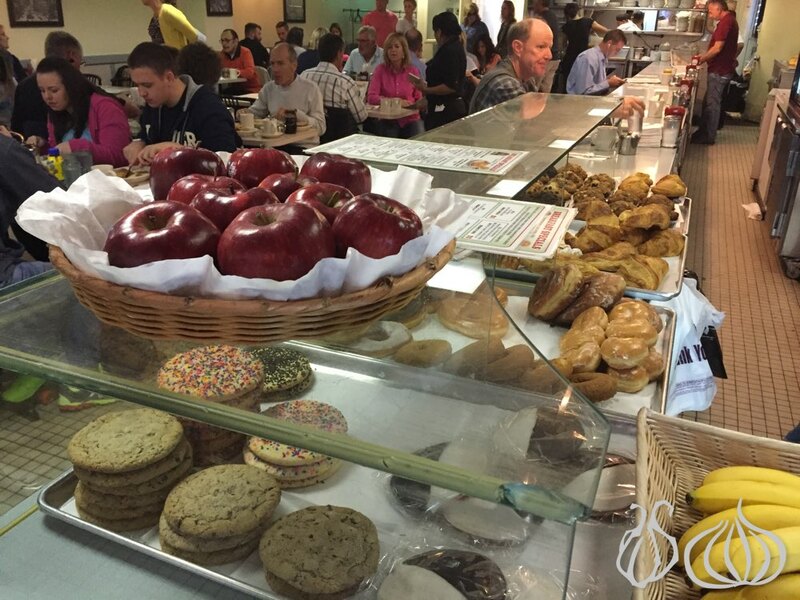 It's like the American diner we see in movies: A kitchen at the end, cutlery sounds, some muffins and cakes displayed on the bar and plates loaded to the top. 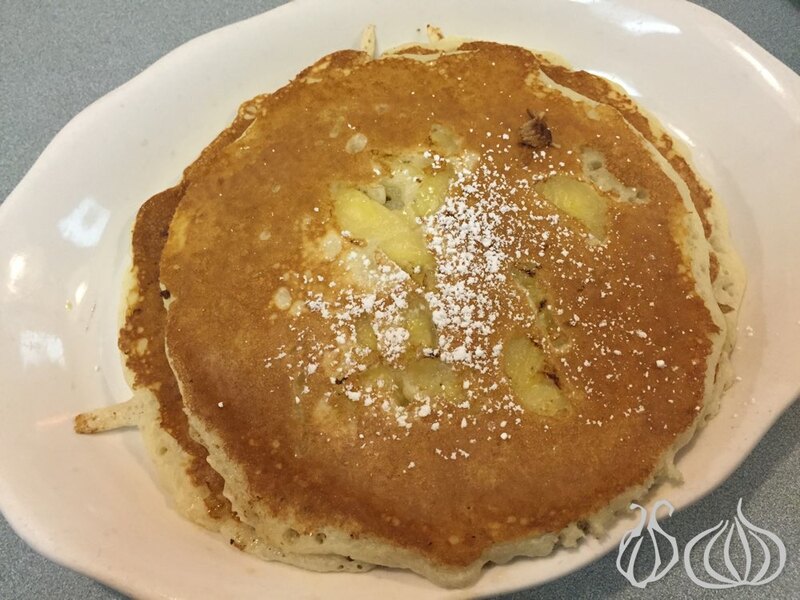 We had the banana pancakes, freshly baked, the pancakes are made with chunks of banana through the batter. 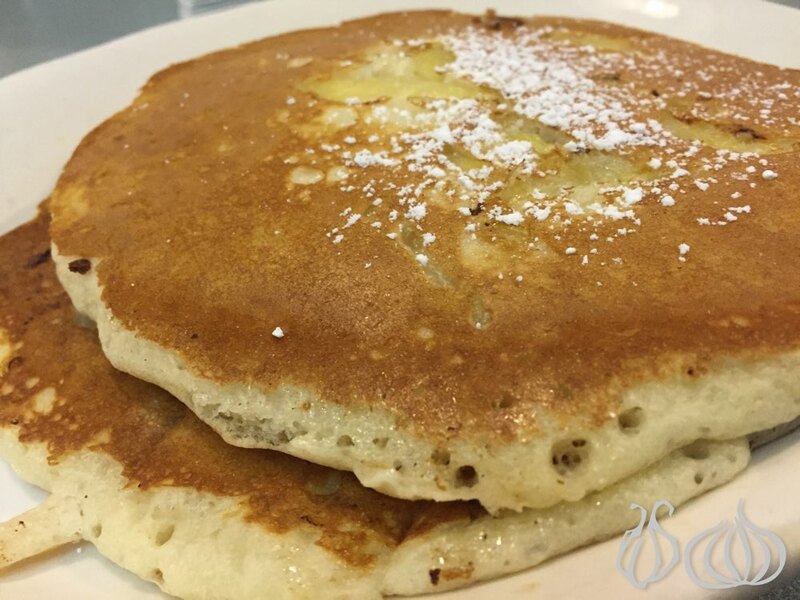 Extremely fluffy pancakes with tender banana adding flavor and sweetness, served warm, giant in size, three, stacked one on top of top of the other, add maple syrup and enjoy. 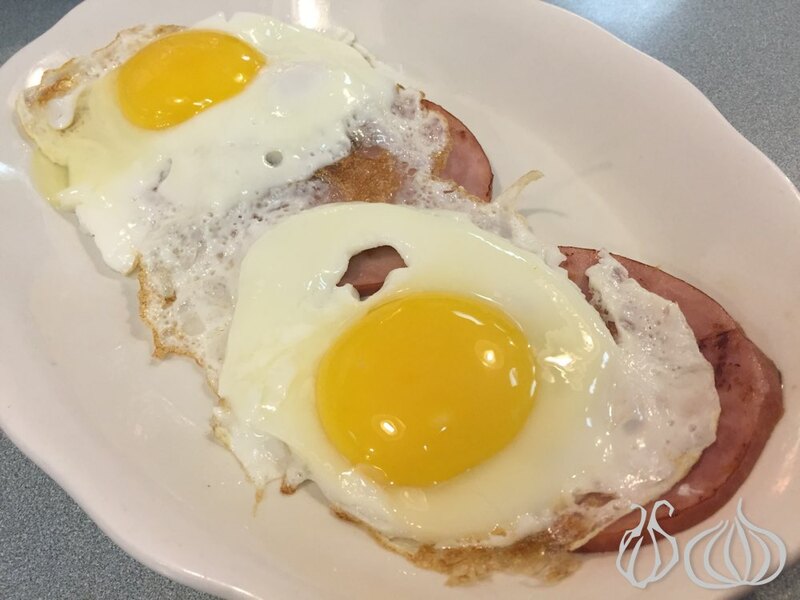 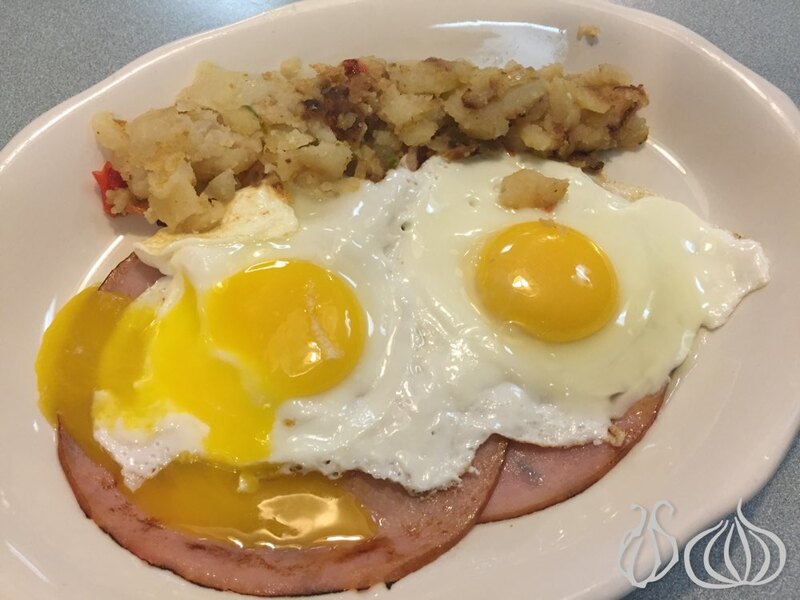 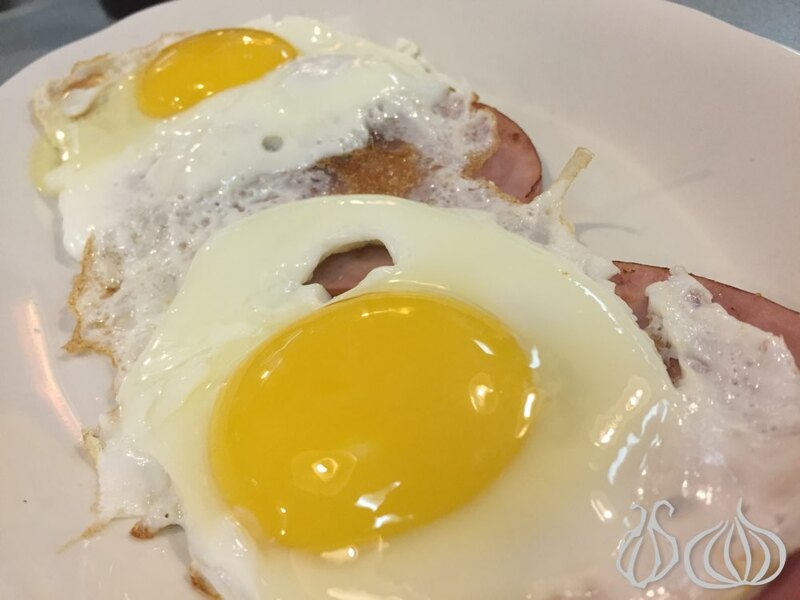 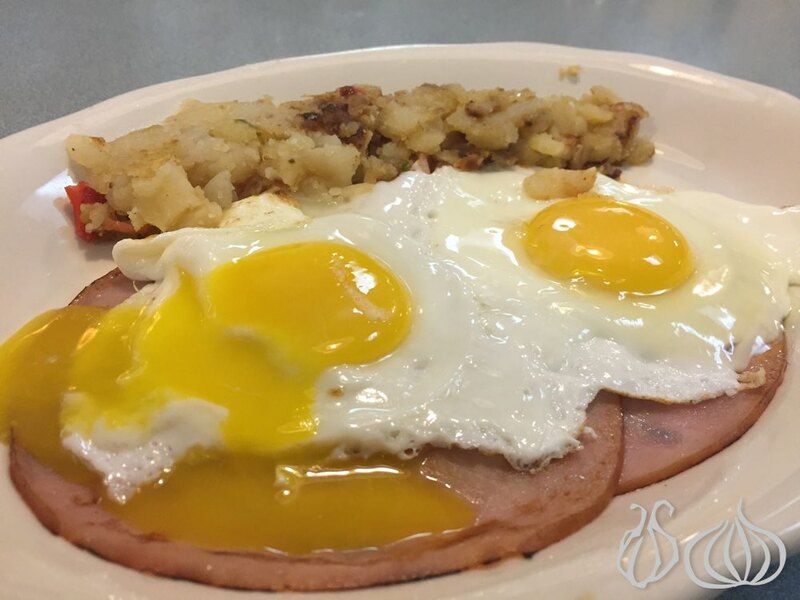 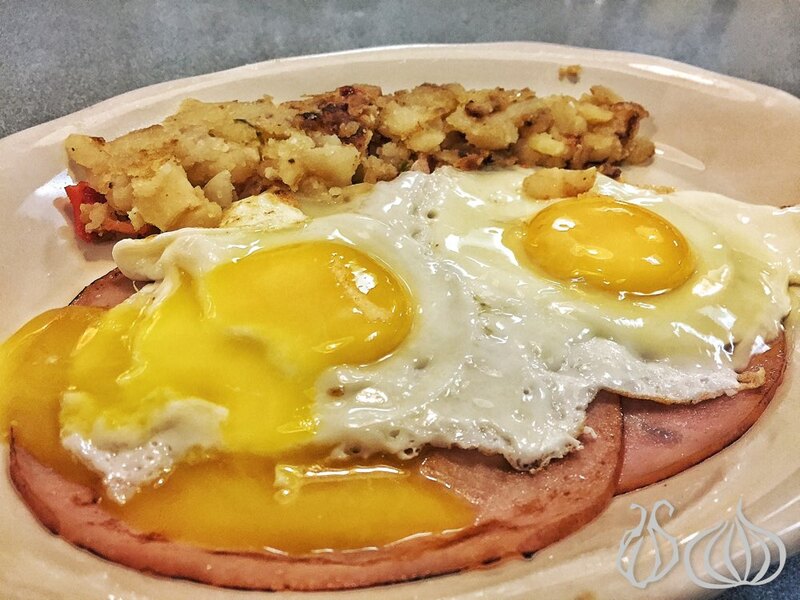 Eggs with Canadian bacon is a simple plate with two sunny side up eggs laid on two thick slices of Canadian bacon. 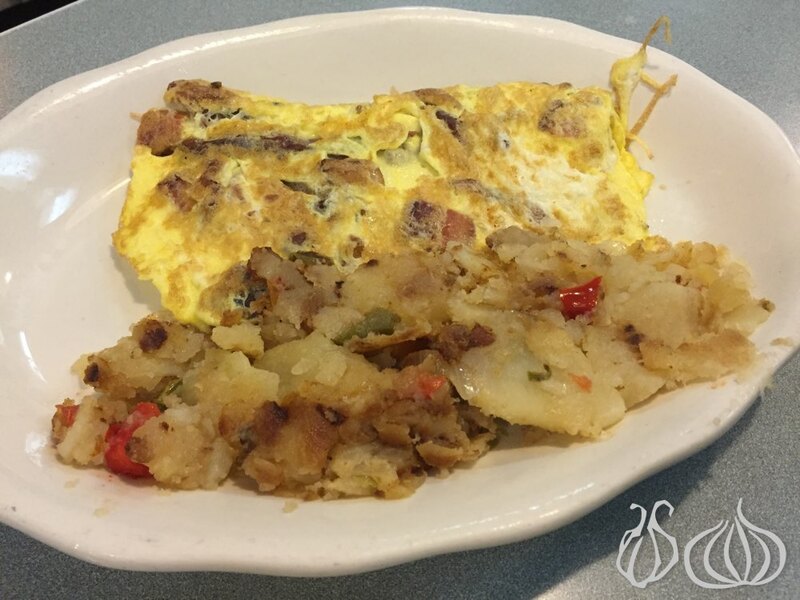 Well seasoned, the eggs are good and the bacon tender and rich bodied. 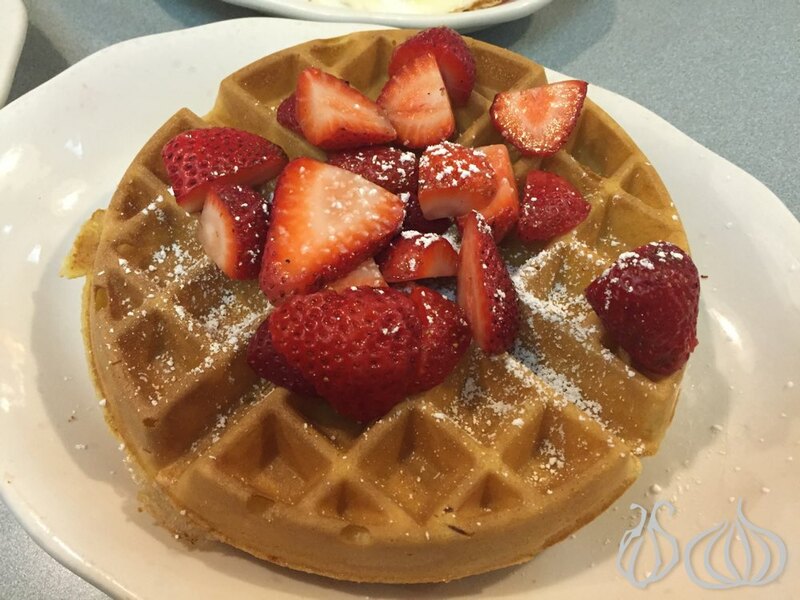 Fluffy waffles just the way I like them, not too sweet and waiting to be bathed in some maple syrup, which adds a great taste of enjoyment. 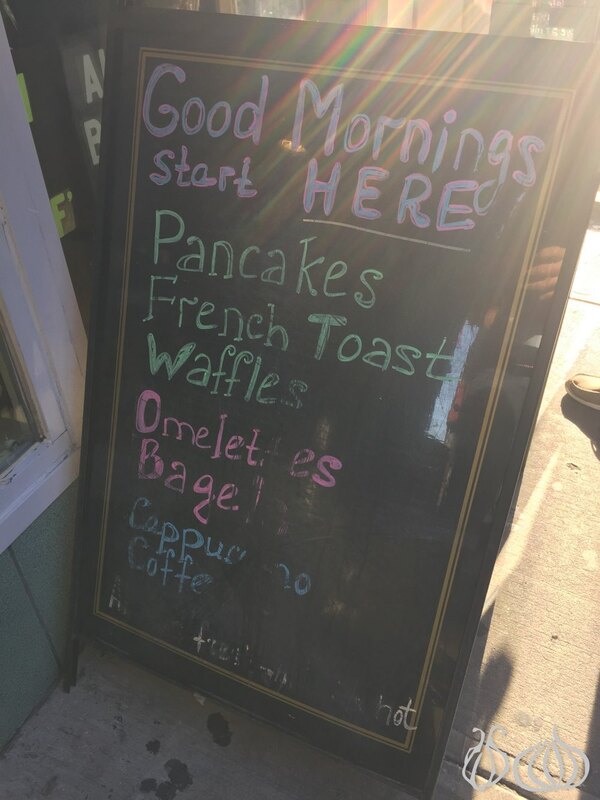 The service is good and food is tasty, I'll come back.